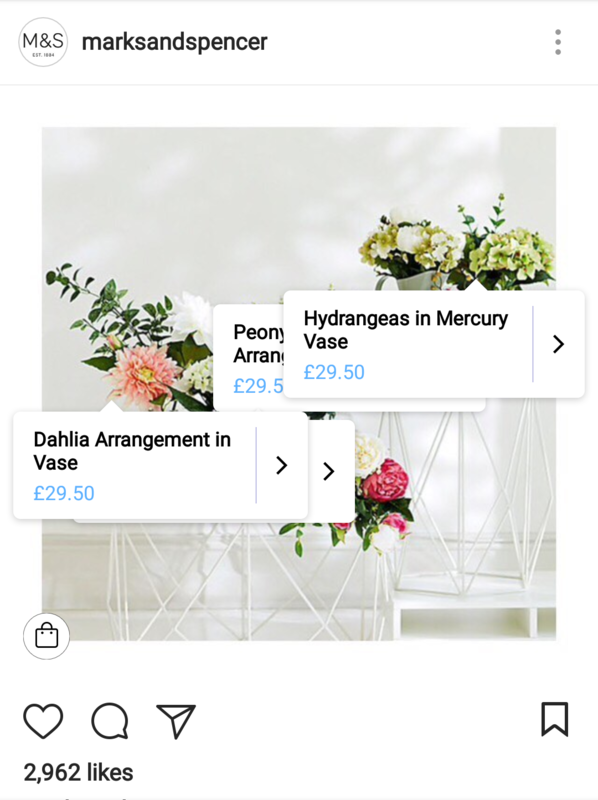 The hugely popular social media platform Instagram has just launched a new direct shopping feature for business owners in the UK. Instagram Shopping Service was first released in the US in 2017 and was a huge shift for the platform towards the booming e-commerce industry. The feature gives Instagram users the possibility to make seamless purchases direct from their feed, meaning businesses can catch them at their most inspired moments. Where previously brands would have to list any items featured in images they posted in the image description, they now have the option of directly tagging products in their organic posts. This allows users to click on items they’re interested in to get more information or to buy a specific product via a link which takes them straight through to the company’s website. This saves them the hassle of having to search for the product after seeing it on Instagram. 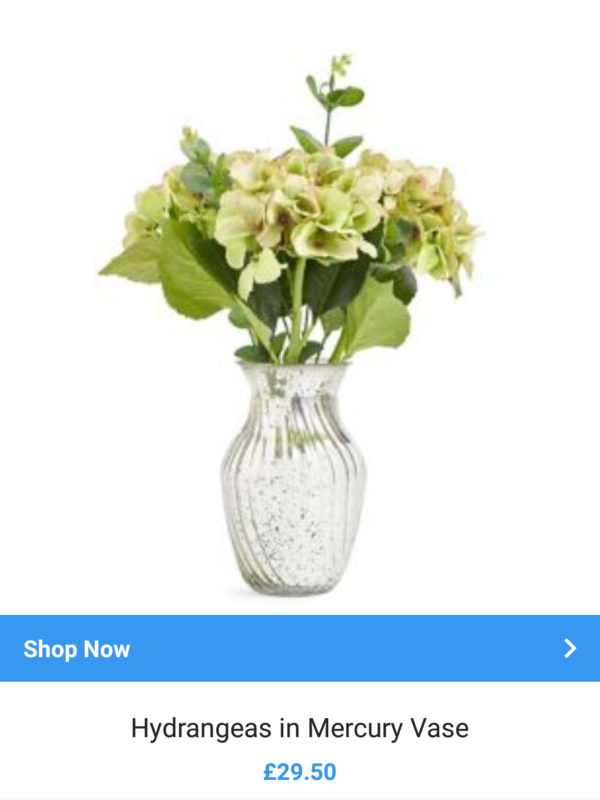 Once you click on a product’s tag it shows you a full size image of the product together with a link to the company’s website where you can purchase it. People use Instagram for inspiration, to discover new possibilities and explore new products. 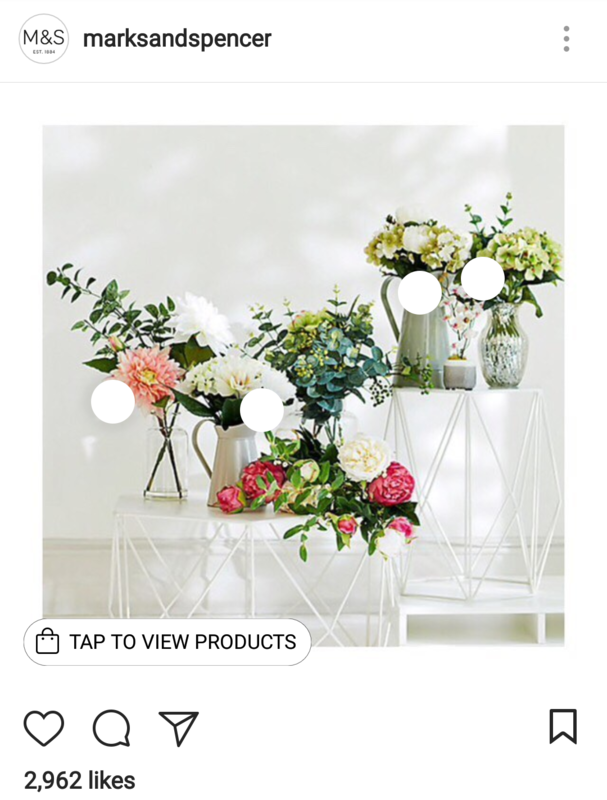 Having this feature on your company’s instagram page could mean that you potentially reach thousands more new customers by giving them seamless access to products that have caught their eye. As Marks and Spencer’s have shown, there is no limit to the products this feature applies to. From florists to clothes retailers, artisan bakeries and everything in between. 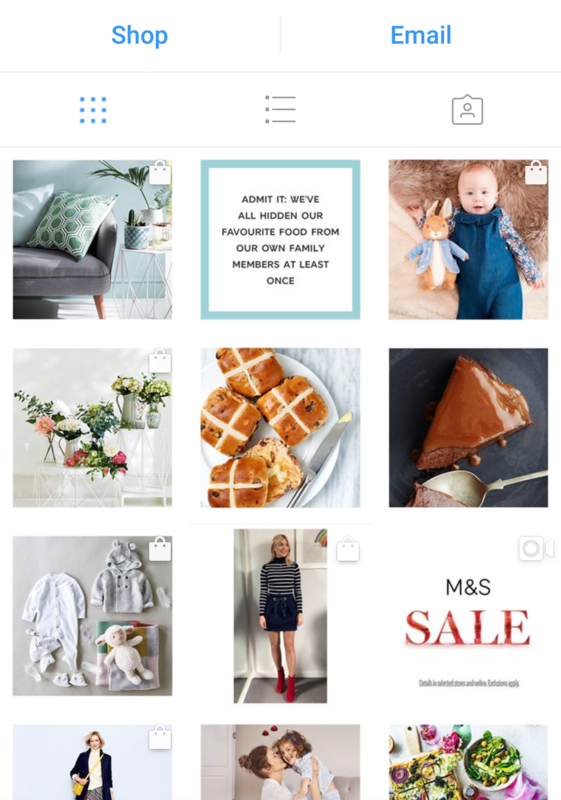 The feature is part of the platform’s Instagram for business tools and is available free to all UK businesses that have an Instagram business page and a product catalogue.